Found 2 file extension associations related to WhizFolders and 1 file format developed specifically for use with WhizFolders. WhizFolders is a versatile note taking tool and note organizer. Use it as a notes and research organizer, a rich text editor, a hypertext cross-referencing tool, a clipboard collector, a bookmark or favorites utility, or a hierarchical note outliner. 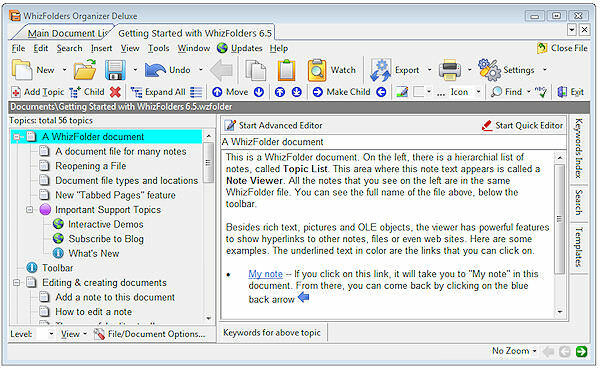 If you need more information please contact the developers of WhizFolders (AvniTech Solutions), or check out their product website.